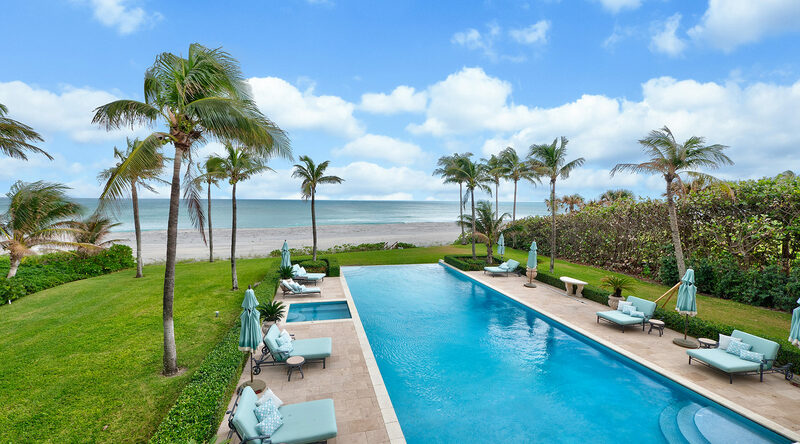 Hamburg Place South is a breathtakingly beautiful estate located directly on the Atlantic Ocean in the heart of Jupiter Island which is flanked by the Intracoastal Waterway and the Atlantic Ocean. 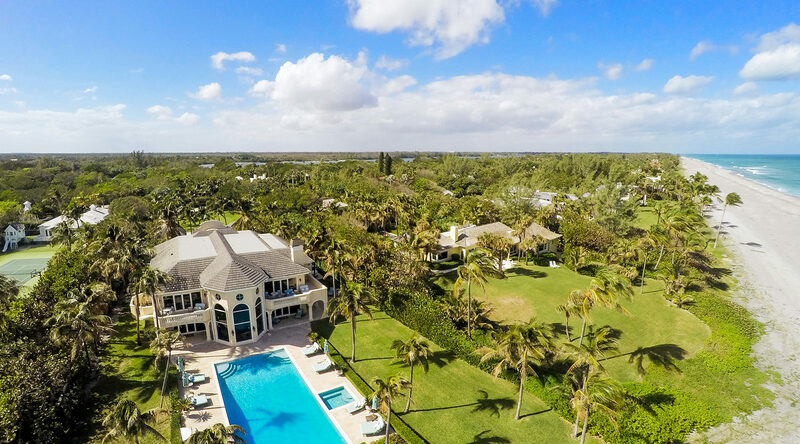 The Town Jupiter Island is 9 miles long and is nestled in the very southeastern corner of Martin County, Florida and has been a long time sanctuary for those that love a natural and low density environment. 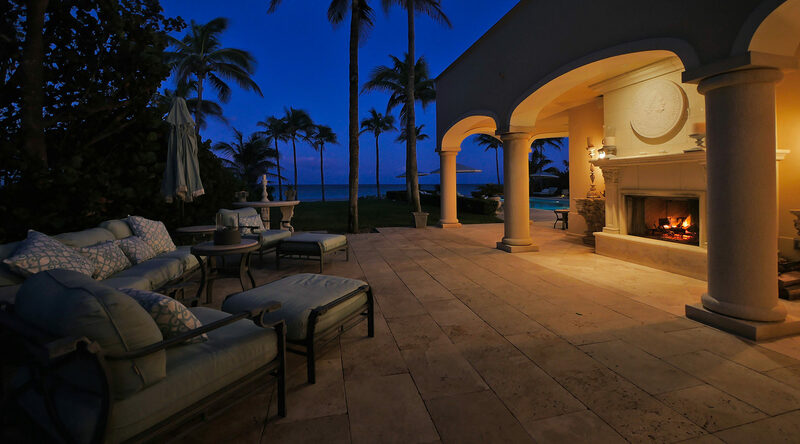 The 1.8 acre oceanfront parcel which hosts this majestic home has a high elevation allowing for endless ocean views from the 1st floor of this magnificent 2 story estate. 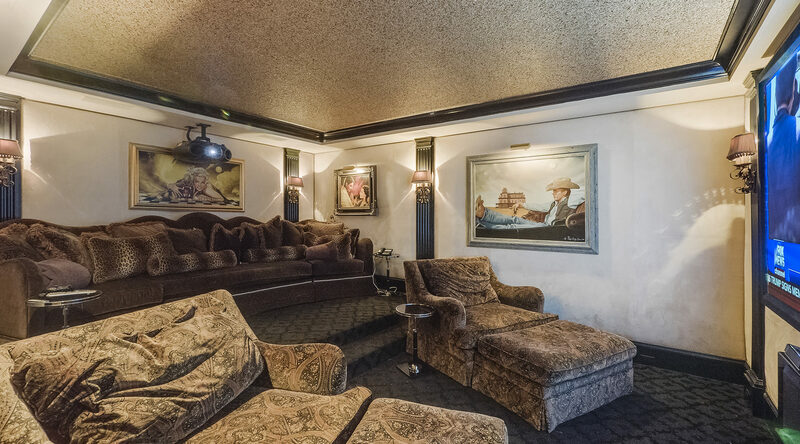 In 2006 this property underwent a 95% Level Floor Remodel. There were only a few concrete walls and a second story concrete floor remaining which allowed the use of the oceanfront building envelope. 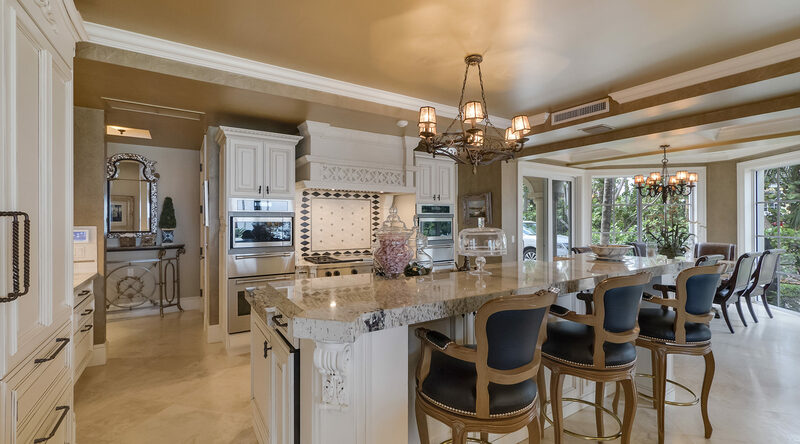 From this point, D & D Construction built a Scott Hughes design home to perfection complete with Impact Glass Windows and Doors. As you pass through the private gate and down the long driveway, you know you are entering a very, very special place. 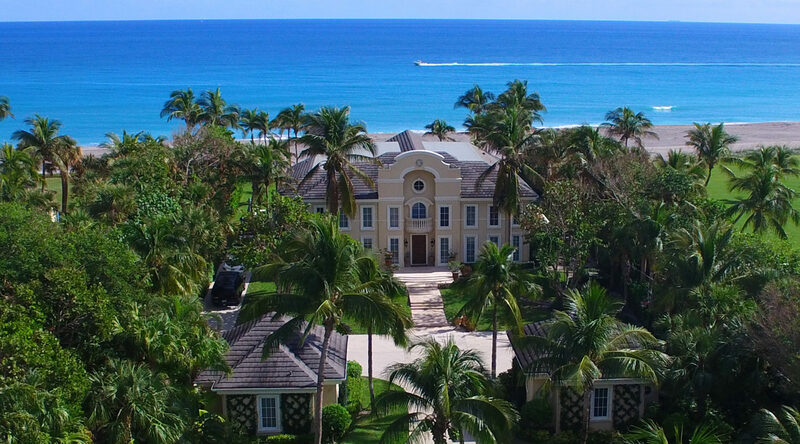 From the moment you pass through the front door you are greeted with a spectacular ocean view which sets the tone for this oceanfront mansion. 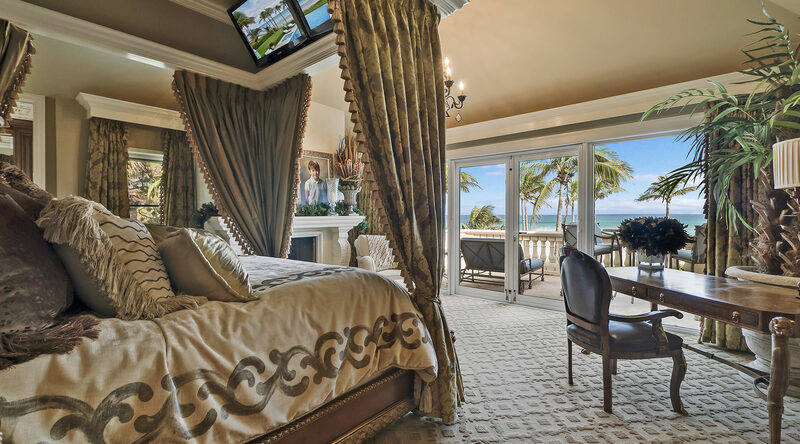 Designed to accentuate every opportunity for ocean viewing, all of the rooms in the rear of the home have glass windows and doors for spectacular ocean viewing! 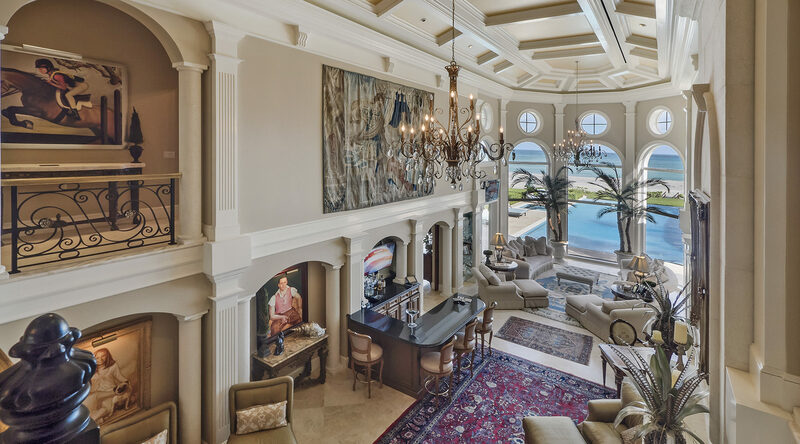 The main home is 8,662 square feet of living area with top of the line fixtures, marble flooring and breathtaking ceiling detail each room is more impressive than the next. 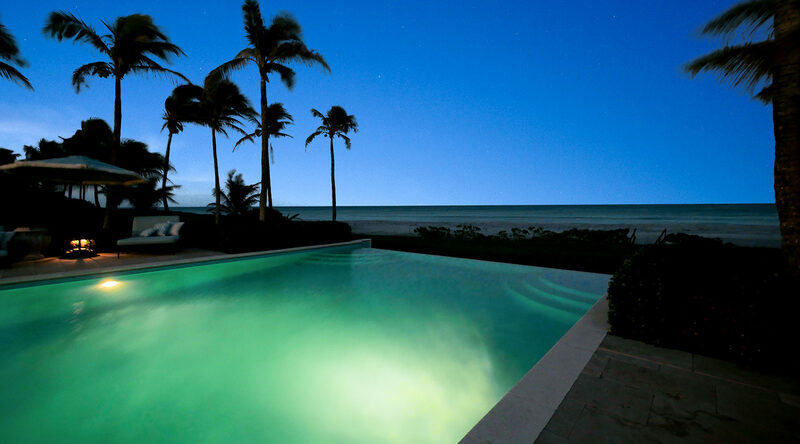 There are 7 bedrooms in the main home all with private bathrooms. The Master Bedroom which is upstairs has separate his/hers walk-in closets and separate his/her bathrooms with an adjoining steam shower and can easily be reached from the 1st floor by a private elevator. Along with endless ocean views, the master bedroom balcony overlooks the infinity spa/pool to allow for beautiful sunrises and moonlit nights. There is one guest bedroom with a private bathroom on the 1st floor, and the balance of bedrooms all with private bathrooms are on the second floor. 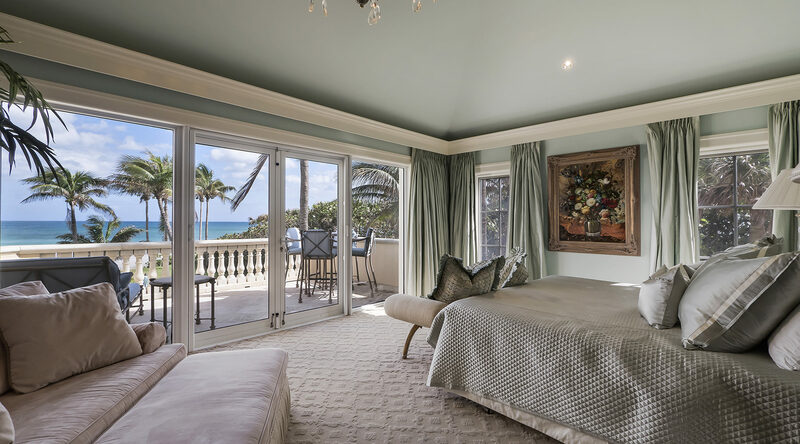 The main guest bedroom is directly on the ocean with a private balcony to enjoy warm tropical breezes and endless ocean views! To complete the bedrooms, the cozy detached guest house has a lounge area, bedroom and a private bathroom! 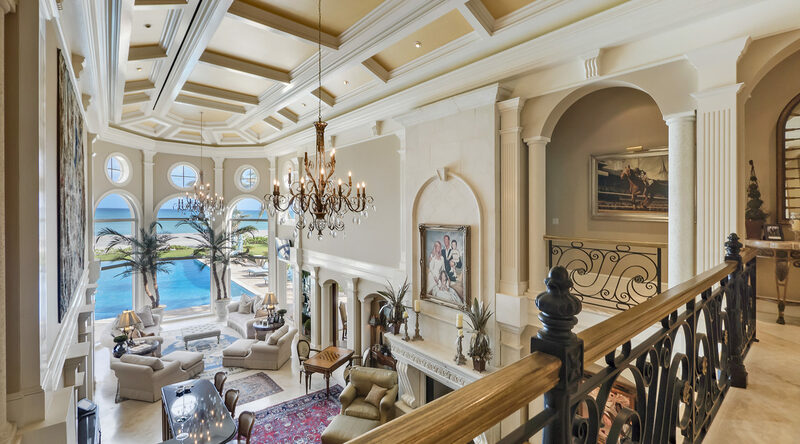 The Living Room is formal, grand, and simply spectacular! 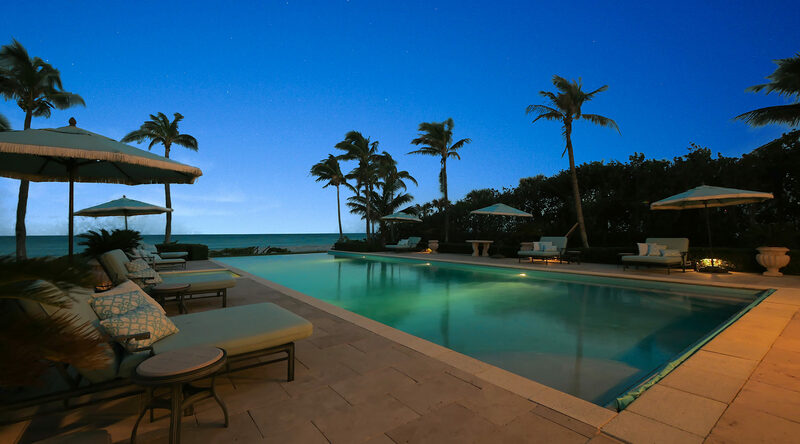 It is perfect for formal entertaining complete with a large bar for serving refreshments, a custom fireplace and finally an ocean parlor with some of the best views overlooking the spa/infinity pool out to the Atlantic Ocean. 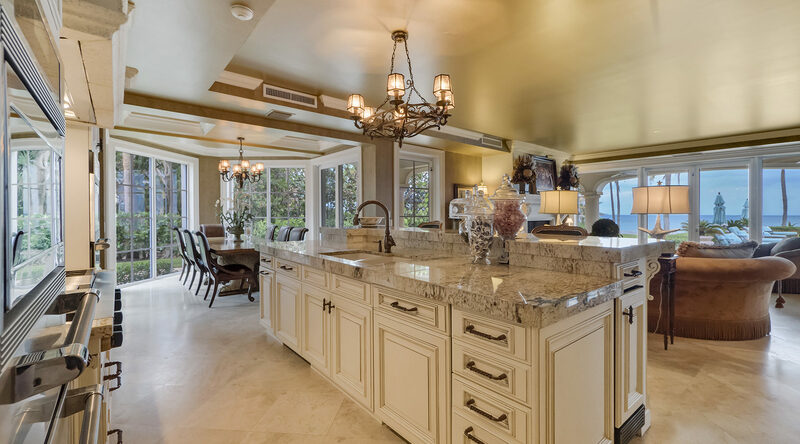 The gourmet kitchen located next to the family room both with ocean views is finished with custom cabinetry, granite countertops, Wolf gas stove, Sub Zero refrigerator and freezer drawers, 2 Thermadore wall and microwave ovens, 2 Bosch dishwashers and an eat-in area with ocean views. Nothing was forgotten when this home was designed! 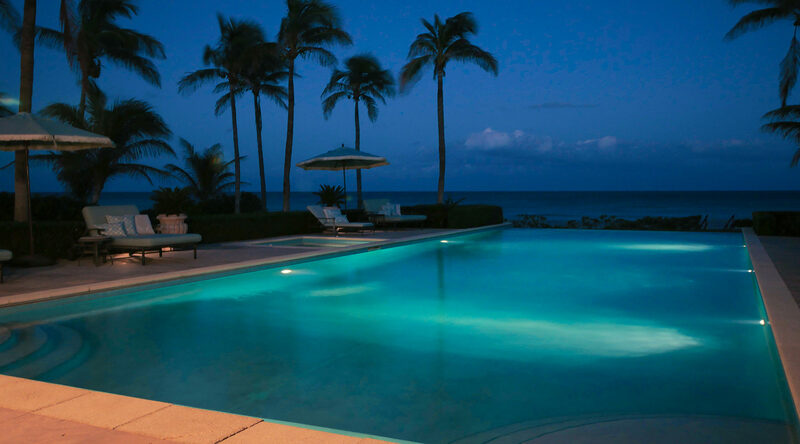 There is a formal dining room for special events and entertaining, a state of the art media room complete with big screen and comfy seats, a laundry room on both the 1st and 2nd floors, a spa and infinity pool located on the ocean side of the estate, and a wonderful side patio complete with fireplace and ocean views!